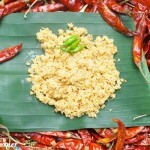 In Sri Lankan cuisine,Pol Roti (Coconut Roti) plays an important role as an easy breakfast recipe. Even this is good for dinner. 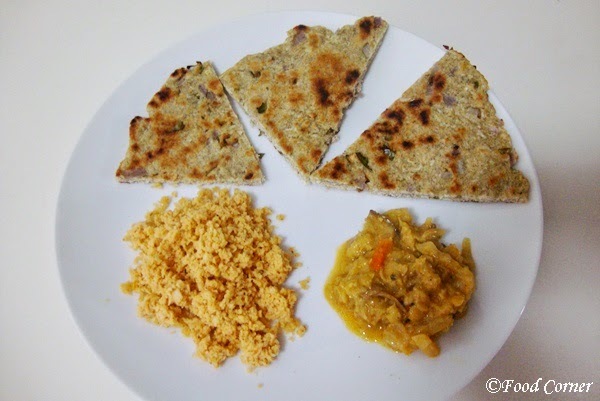 Earlier I shared the traditional Sri Lankan recipe for pol roti with step by step pictures. 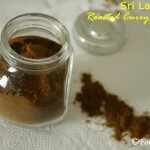 Please check that post for the step by step photos on how to make Sri Lankan Pol roti. 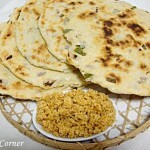 Recently, I cooked roti with a little change to the recipe. That is I added some Mung bean flour for the mix. Roti came out really good with a little taste of mung beans. 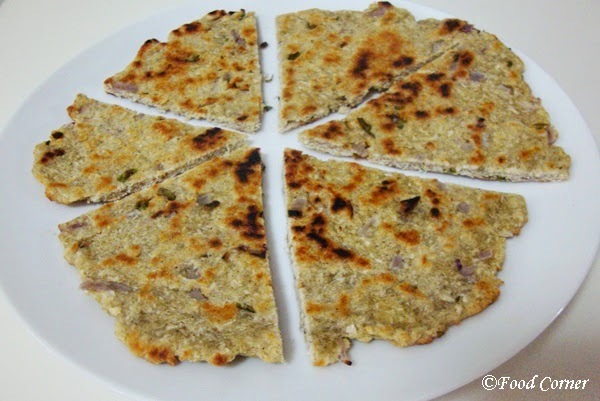 Not only that, mung beans(moong dal) added some more nutrient value for Roti. 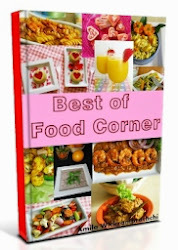 It is really easy and worth trying it even as a change for the traditional recipe. 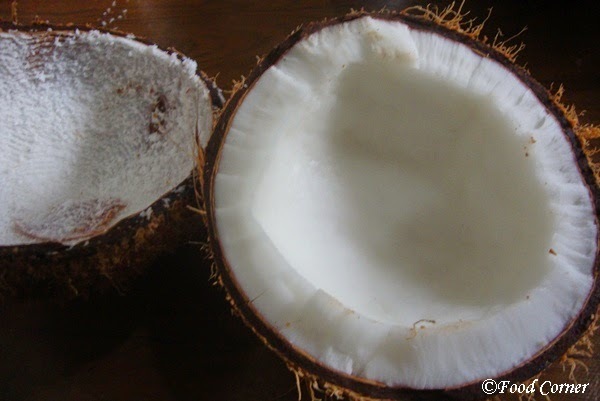 We,Sri Lankans love to cook with coconut. Most of Sri Lankan food requires coconut as coconut milk or even as fresh grated coconut.Not only that,we use coconut oil for frying and as a cooking oil.For this roti,we use fresh grated coconut and it tastes better. Sift mung flour and all-purpose flour together to a bowl, so that both flour will mix well. 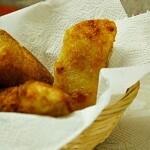 Slice onion, green chili & curry leaf into small pieces.Add these to the bowl which contains flour. 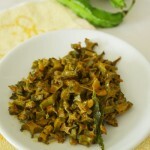 Mix onion, green chili, curry leaf with flour, butter & grated coconut. Add some salt as per taste. After mixing the ingredients, gradually add water & make this into a dough. Then make small balls from the dough. Spread some flour on a chopping board or a plate, and flatten this small ball of dough to a round flat shape (Roti shape).Use a cutter if you like a nice round shape. After that,heat a flat pan. Then place this flatten roti on it. Cook it for few minutes turning both sides until both sides get slightly roasted. I don’t add oil to the pan as I mix butter to the dough.So,it doesn’t stick onto the pan. It is ready to serve once the both sides get slightly roasted & brown. Continue the same procedure with remaining dough. 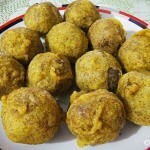 This time I prepared some Pol Sambola with a mixed vegetable curry to serve with Roti. Its the same with me; coconut milk is needed. 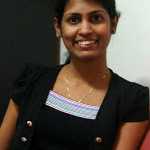 Though people avoid the milk these days, I’ve been reading about its goodness. That’s a lovely combo and certainly tempting me. 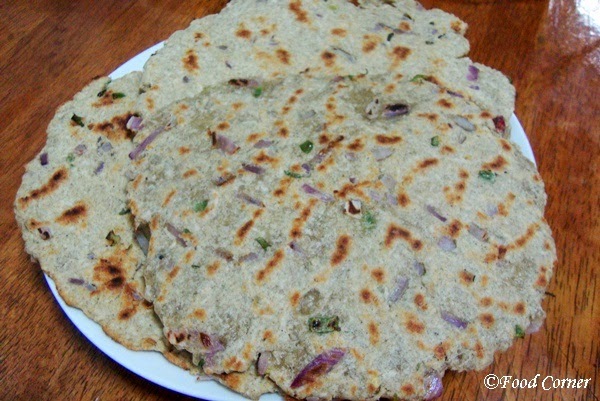 interesting recipe….the roti looks so good….